Since I’m a historian, I’m interested in why and how things happened. Between Bob Hitz and I, we’ve had plenty of posts about the Soviet fishing fleet off Washington and Oregon in the 1960s. But when and why did the Soviets start fishing in the Bering Sea and the Gulf of Alaska? That’s a nice juicy question and I’ve been looking for an answer. powerful Senate Appropriates Committee. Magnuson was concerned about the Soviet boats and in 1964, he had the Library of Congress do an analysis of the postwar expansion of Soviet fishing. The result is a nifty little document, just 50 pages, and it includes some translations from Soviet fisheries research. These translations were done by Dr. Donald Bevan, the former director of the School of Fisheries at the University of Washington. Bevan died in 1996. Bevan graduated from the University of Washington in 1959 and went to the Soviet Union to do research. He learned Russian, and it must have been an exciting time to be in Russia because so much was happening to expand the fishing fleet (more on that later). And it had to have been an exciting time for Russian fisheries science (more on that later). The Soviets were spending about 3% of their GDP on the expansion of fishing and much money was being directed at research in ocean-going ships. 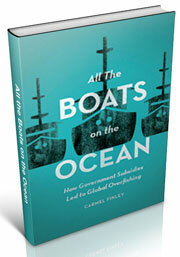 It was a far, far greater commitment of resources to fisheries science than the Americans had ever made. Bevan translated some fishery documents for Magnuson’s inquiry. 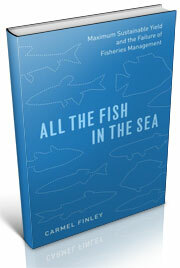 One of the documents is a paper about the ecology of rockfish in the Northeast Pacific by P.A. Moiseev and I. A. Parakostzov, published in Voprosy Ikhtiologii (Problems of Ichthyology), vol. 1, No. 1, 1961. 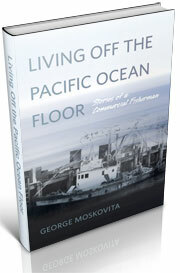 According to the paper, between 1931 and 1935, the Pacific Institute of Marine Fisheries and Oceanography (TINRO) did a series of exploratory trawling expeditions to the Okhotsk and Bering seas. The trawler Paltus was dragging southeast of the Pribilof Islands and lifted a three-metric ton catch of large rockfish. They were mainly Sebastes alutus and S. polyspinus. The catch was so impressive the agency recommended starting a commercial fishery. That lasted three years, until the fleet found large schools of flatfish in the southeastern part of the Bering Sea. The exploratory work on rockfish was put on hold. The Far East Fishing Company began operations on ocean perch in May of 1960, with 25 vessels, using a variety of different nets, to find out what was the most effective. The following year, the floating cannery, the Andrei Sakharov, built in Leningrad, was sent to the Bering Sea. It was in excess of 15,000 tons gross weight, sheathed for ice, and equipped with a machine shop to help repair other vessels. At some point, if I have nothing to do, I will look at why the vessel was named after Sakharov, the Soviet physicist, who had not yet fallen from political favor. In a speech of fishery workers on Feb. 14, 1961, the Minister of Fisheries, A. A. Ishkov said that with Soviet fishing well established in the Atlantic, it was time to turn the country’s attention to the Pacific, to broaden the fishery in the Bering Sea “in every possible way,” not only for flatfish and rockfish, but for salmon, halibut, and black cod. This expansion would take two directions: factory ships for catching, processing, and delivering to port, and mother ships for taking catches back to port. According to this website, a vessel called the Paltus was built in Italy in 1931 and registered out of Murmansk. In March of 1958, it ran aground on the Rybachiy Peninsula near Murmansk because a magnetic compass deviation was not checked and the course was laid incorrectly. The engine room quickly flooded with water and the crew abandoned the vessel in life rafts. Was it the same vessel? I don’t know. But it’s always interesting to start looking for an answer and see where you wind up. One place we will wind up is with Bob Hitz in 1966, as he continues gathering information on the Soviet fleet operating of the West Coast, the Washington Department of Fisheries. This entry was posted in boat building, Carmel Finley, Environmental History, Fisherie subsidies, Fisheries policy, fisheries science, Fishing, History of Science, History of Technology, Marine Policy, Maritime History, Ocean fishing, Overfishing, Pacific Fishing History Project, Rosefish, Sebastes rockfish, Soviet environmental history, Soviet fishing, Soviet history', World History and tagged A. A. Ishkov, Andrei Sakharov, Dr. Donald Bevan, environment, Far East Fishing Company, fisheries research, Fisheries Science, Pacific Ocean, Palthus, Soviet, Soviet Union, TINRO, University of Washington, warren magnuson. Bookmark the permalink.